Beef talk: Is return on assets large enough to expand the cow business? Some events in one's life become stories because they have an impact on the future. These stories are used to teach and add wisdom to current conversations. Sometimes the discussion may stray, but if the facts are true, the story continues to add wisdom. The moral of the story is, if the rate of return is inadequate for the one investing the assets into a business endeavor, there is no business. Granted, the production seminars continued and the swine industry still exists. However, let's repeat the moral of the story: If the rate of return is inadequate for the one investing the assets into a business endeavor, there is no business. A visit with James McGrann, professor and extension specialist emeritus at Texas A&M University, reminded me of the full equation. The bottom line is that the investment in the beef industry must meet the investor's targeted return on total assets (ROA), including land and improvements. If the industry cannot offer an adequate ROA, the industry will not grow. Jim and I first met when the National Cattlemen's Beef Association was developing a process called Standardized Proformance Analysis (SPA). The process was completed and is available today at http://www.beefusa.org/spacalculationsworksheet.aspx. However, let me paraphrase Jim to seek the answer, as individual producers must understand their "cow-calf operating and total unit cost and return on ROA, including land and improvements. It's valuable to review the economics of expanding the cow herd if added debt is required for land purchases and breeding cattle investments. 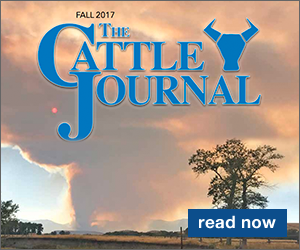 Even at historical highs, calf prices in the cow-calf sector are characterized as a large investment with a low ROA." Will the cow-calf industry expand? 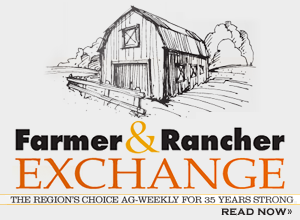 Will calf prices be high enough to achieve a target ROA? As Jim says, "Make your numbers do the talking." However, keep the ear tags.